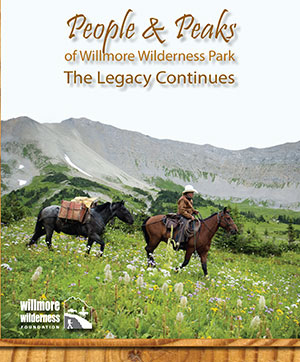 Peer through the mists of time and experience the incredible lives of trail men and women who have made their living in and around Willmore Wilderness Park. The intimate tales of these tenacious mountain people are humorous and riveting. The lure of spectacular alpine landscapes and a way of life will haunt one’s soul long after the chronicles are read. 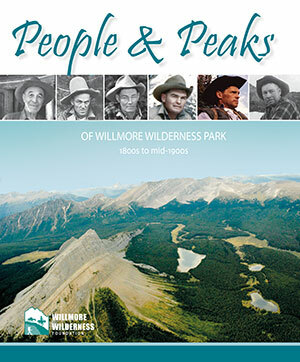 People & Peaks: The Legacy Continues is a story set in the remote regions of the Alberta Rockies. 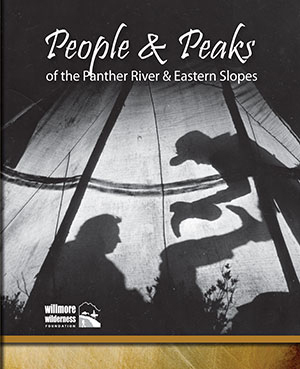 Each chapter details how those of yesteryear navigated the old pack trails, which have been traversed by nomadic people for centuries. 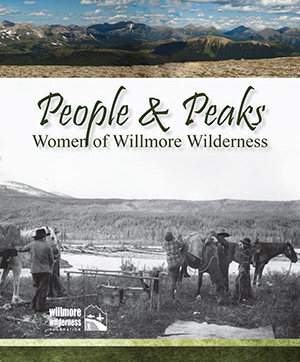 This saga is about a rugged breed of mountain people who make the wilderness their place of work—a locale where the value of a man was his ability to live by nature’s law. The book chronicles outstanding narratives about hunting exploits, exploratory expeditions, trapping adventures, and day-to-day life in one of the most magnificent parks in the world. This is a must read for anyone who wants to know more about the history, traditions and culture of the Canadian Rocky Mountains.